This article attempts to mitigate the absence of data and empirical research on the different types of production of Spanish television fiction, from the initial predominance of in-house production to the near complete industry wide trend of outsourcing. The sample includes 490 productions aired on national networks between 1990 and 2017 across 234 production houses. The research reveals that more than 60% of independent producers have partaken in only one production, while 10 studios (including the three major national networks) are responsible for more than half of the productions. The analysis highlights the paradoxical nature of a sector whose growing specialization and vertical concentration coexists with the atomization of independent producers”. The full text (in Spanish) can be found at the journal’s website. 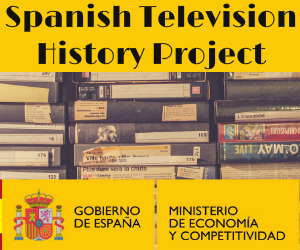 The research for this article was done as a part of the project “History of Programming and Television Fiction in Spain (generalist channel): From the Deregulation to Analogical Blackout” supported by the Spanish ministry of Economy, Industry and Competitiveness.